14:40:23,761 WARN MaxwellMetrics - Metrics will not be exposed: metricsReportingType not configured. 14:40:24,965 INFO BinlogConnectorLifecycleListener - Binlog connected. 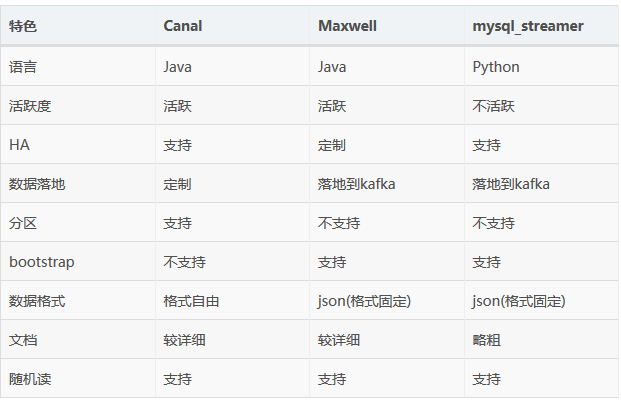 rabbitmq_routing_key_template 字符串 路由键模板,可用 %db% 和 %table% 作为变量 %db%.%table%. Sun Aug 26 11:33:08 CST 2018 WARN: Establishing SSL connection without server's identity verification is not recommended. According to MySQL 5.5.45+, 5.6.26+ and 5.7.6+ requirements SSL connection must be established by default if explicit option isn't set. For compliance with existing applications not using SSL the verifyServerCertificate property is set to 'false'. You need either to explicitly disable SSL by setting useSSL=false, or set useSSL=true and provide truststore for server certificate verification. 11:33:09,645 INFO MaxwellBootstrapUtility - done.